There are two types of dessert lovers in this world: Those that love fruity desserts (I feel guilty about eating this, but even covered in whipped cream, strawberries are good for you right??) and those that cannot fathom the existence of a dessert without chocolate (What?? Cake comes in other flavors??) If you’re ever having difficulty deciding what to bake for a crowd, be forewarned that the latter far outweighs the former. The people LOVE their chocolate and this recipe is definitely a crowd pleaser. I’ll admit I belong in the first category (A baker wit sweet-induced guilt? 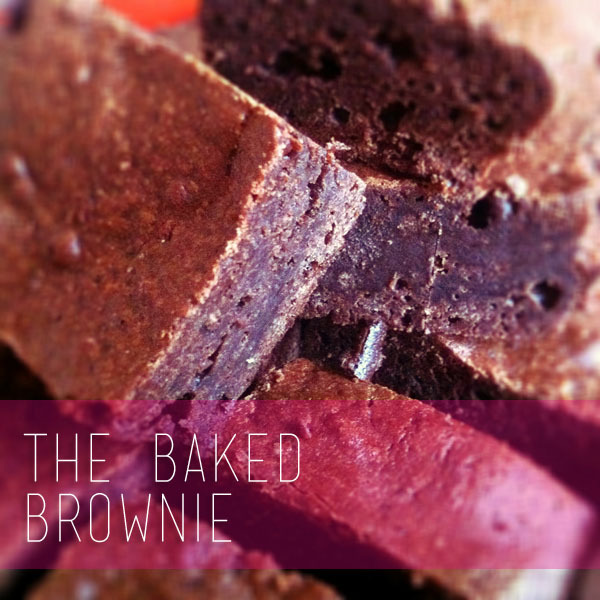 Masochistic, I know…) but whenever baking for a crowd, you really can’t go wrong with a good brownie. Novice bakers and fourteen year old girls will go for the boxed stuff, but there really is something magical about brownies made from scratch. Yes, I said magical: chocolate so simple, so fudgy and so goddamn good. It really doesn’t take much longer to melt the chocolate and break the eggs – I think you still have to break eggs into a mix, right? Even Betty Crocker herself would approve of this recipe! While your guests are bowing at your feet your waistline may not be as ecstatic, but we’re trying to rid ourselves of the guilt here so bake on bakers, bake on. Find the recipe here (via Brown Eyed Baker). Oh, and add an extra tablespoon of espresso powder. Just for kicks.